Today I want to share with you how to build a website free, step by step. Before you start the process, please take a moment and think about your theme (niche); what your website is going to be about. The process of making money online is broken down into the following 4 steps. As you can see, choosing a niche comes before building a website. Without a niche, your website is going to lose the focus and would not attract many visitors. A niche can be anything that you are interested in or passionate about. Now that I chose my niche, I am going to a place that helps me to build a website free. My recommendation is SiteRubix.com. It provides you two free WordPress websites with free hosting. Yes, 100% free. If you are a complete beginner in the online world like I was, I highly recommend SiteRubix. It was so easy and quick to create my own website free, and I will show you right now how to create your own website from scratch. Ok, let’s get started, shall we? 1. Go to SiteRubix.com. Pick a domain name (website name) that represents your niche. 2. My niche is gluten free diet, right? So I want to include the words “Gluten Free Diet” in my domain name. In the space provided, I typed “glutenfreediet.” Oops… The name has been taken by someone already. I need to come up with something else! 4. Now you will see the pop-up as below. This is the special part of SiteRubix. As a beginner, once you have built a website you will need support on how to actually run it. I once created a good-looking website on my own through a YouTube tutorial video. It took me months, but I was very proud of my accomplishment. However, the website didn’t get visitors and I didn’t understand why. I felt lost, and WordPress didn’t teach me anything about traffic. Trust me on this. You will need help for your online success. LOTS OF help! For more details about this program and community, you can read my review on Wealthy Affiliate. 6. Choose a theme (look) of your website. As a free member, you can pick whatever a look you like from 20 different options. Click on “I’m Ready, Build My Website Now!” and wait for a few seconds! 7. Ta-da! Here is my new website “Yuko’s Gluten Free Diet” up and running already. Quite simple and quick, wasn’t it? It took me less than a minute to create this website. You can do the same as I did, using SiteRubix.com. After all, it is free and you would have nothing to lose by giving it a try. You can also view this tutorial video that walks you through step-by-step how to build a fully functional WordPress video. Thank you for dropping by and reading my post. If you have any questions or comments, feel free to leave them below. 26 Comments on "How to Build a Website for Free"
I am sorry that you lost 3 websites. 🙁 You must have put a lot of work into them. I hope you could at least retrieve the contents of your websites and safely move them somewhere else? Did Blogger offer you any help with the issue? I recently had a disappointing experience with HostGator. You can read about it here. I am more convinced nowadays that a real support is a must for our success online. Wishing you every success and thank you for stopping by! I really enjoyed the layout of your website. It explains the steps to being successful online in a very simple format. Thanks for the recommendations, I will surely be using these moving forward. I am glad to know that the post was reader friendly 🙂 With SiteRubix, it really is a breeze to build a website and I hope many people would take the advantage of it. Thanks for dropping by! I started with siterubix a month ago! I am still working with one website, to see how far I can go. But I am getting traffic, so I’m a pretty happy camper. The support behind wealthy affiliate is really great, they answer your questions, and are really helpful! It’s great that you started out only a month ago and are getting traffic to your website. Congrats!! Having support really changes the outcome, doesn’t it? I am feeling very fortunate to be part of Wealthy Affiliate community. Thank you for stopping by and best of luck with your future endeavour! Wow! So much information! Great work. Love to bookmark this site to come back for more information. Keep up the great work. I will try to keep posting helpful information for those who are just starting out as online entrepreneurs. Best of luck to your business as well! Great use of images to explain the web building process! By taking the reader step by step through your process of creating a new website, you’re demonstrating that it’s quite an easy thing to do, and not at all intimidating. I was scared of building a website when I first started out, and was convinced I’d do something wrong and break it. But with step by step guidance at Wealthy Affiliate, my website is improving daily. Thank you for your positive comment! I was just like you when I first tried to build a website. As I tried to do it all by myself via a YouTube video, one click to next step felt fearful! I really wish that I knew Wealthy Affiliate back then. I think I struggled all by myself for three months or so before I finally found Wealthy Affiliate. You and I are now in good hands 🙂 Wishing you every success! This is a very good and straight forward article on how to create a website with SiteRubix. It is very simple to get a site up and running – I don’t think people realize that they could start a site and begin writing so quickly. It is a powerful tool and combined with Wealthy Affiliate – these are two pieces of the puzzle to start your own business online. Do you have any specific advice for someone just starting out? Thank you for visiting. I cannot agree more regarding how easy and simple to set up our own website with SiteRubix. Before discovering SiteRubix, I didn’t think it was even possible for me to have my business running on the internet. I wrote this article with the hope that many people who wish to have their own business realize it is more than just “possible” for them to start out online. Wow i have so much to learn from this! I thought it was really good layout everything was placed perfectly!! Thank you for stopping by. I am glad you found something useful for you here 🙂 If you are looking to build a website free, SiteRubix is highly recommended as it’s so easy to use. Give it a try! You know what, it really amuses me when i see articles like this that shows how to build a website. And it is similar to what i am using. Did you also learn this in wealthy affiliate? Actually I just joined the university two months ago but I already have my own website running. It is definitely a helpful program. 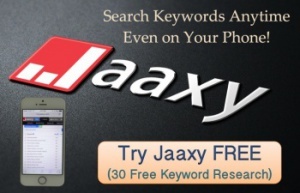 By the way, can anyone use this free website for earning some money? Like building an online business? Of course, you can use your website to earn extra money. Many make a full-time income and live off a website like this friend of mine is doing. He learned all the skills at Wealthy Affiliate too. Once you choose your niche and start writing content on your website, you can earn commission through affiliate programs or place online ads. Your website is going to be your business, and it is going to be there on the internet as long as you don’t quit. Never know what it will bring to you a few years from now. Quite exciting, isn’t it? Since you already have your website up and running, you already cleared the most important part of online business. Keep working on it and I am sure you will be successful! Good luck John with your online endeavor and come by again if you have any questions. Great article on how to build a website for free. Building a website may seem very difficult if you have no experience, but after reading your step-by-step guide I think anyone can build it within seconds. I think among free website builders Siterubix is the best builder because it comes with a free training and support. Plus, it comes with a couple of plugins installed by default. You got the point rufat. 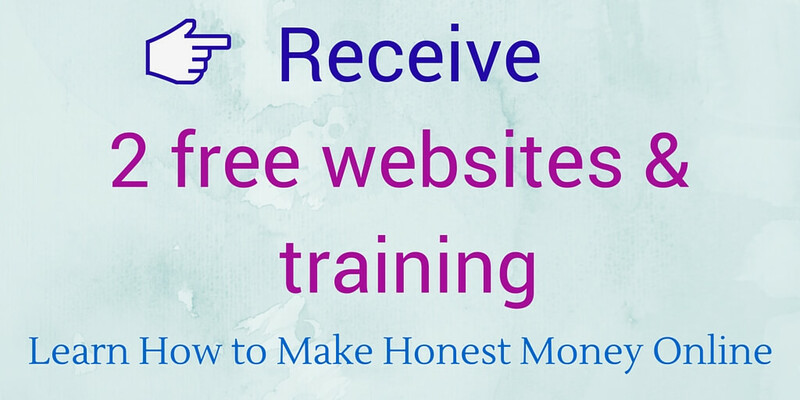 The more valuable thing in online business than free websites is the training and support. Frankly, Siterubix is not the only place you can get free websites from, but none of other companies offers high-quality training or support along with free websites like Siterubix does. Many beginners do not realize that it is way more crucial to know how to monetize a website than to have built a pretty website. I used to be one of them. I had a good-looking website up and running but had no idea how I could make money off of it. I hope my readers do not have to take the detour I took and start off with Sitefubix so that then can receive the necessary education from the beginning. Looks like it is very easy to build a website nowadays. But people are usually stucked with what niche they are going to be sticking with. Do you have any advice on how to actually smartly choose a niche? As you have said, without a niche your website will feel very “scattered.” Can you point me to a direction on how you have came up with a glutten free diet niche? I would advise these things when it comes to choosing a niche. 1. Pick something you are passionate about or interested in. You don’t have to be an expert on the topic but should at least have fun doing research and writing about it. 3. Is it profitable? Check if you can find affiliate programs related to the niche. I am sure gluten free diet is a hot topic nowadays though, especially for those mothers with young children with health issues. But if I am ever going to seriously run the website, I will check the niche for all the aspects I mentioned above. Hope it helps! Wow, amazing! Not many people can put together a tutorial that is actually helpful. The steps were easy and simple to follow, but the visuals just put it all together for me. I know a lot of people like myself interested in getting started online, but do not know where to start, now I know where I can send them. Great Job! I’m glad this tutorial was helpful and easy to follow for you. 🙂 Having a website is absolute ESSENTIAL in online business and luckily, it is not hard at all these days. Once you have your website up and running, be sure to first organize it, start adding valuable content and get it ready for SEO. I have all those tutorials in separate blogs for your convenience. Let me know if there is anything unclear or you simply need my assistance. Wish you a great success in your online endeavor! It is important for your niche to be a passion of yours. I am glad that I have done just that with my website. I have found that I can write good quality posts because of this. It also helps that you have the personal approach. People can then relate to you and trust what your saying, your example of using your name in your website name just proves that. All the best to you and to your website. It is laid out very well. It took me a while to realize it is very important to pick a niche based on your passion. In the very beginning, I started out with a niche that seems profitable but it didn’t do so well as I had hoped. Now I own a few different websites and I can tell that the best performing niche is the one of my passion. It’s way easier to create content and most importantly, it’s fun! So, I totally agree with you. Nowadays I suggest all newbies to begin their first online business based on what they like. Thanks for sharing your insight!